Investing in Rental Property in Spain: Short Term vs Long Term Rental. 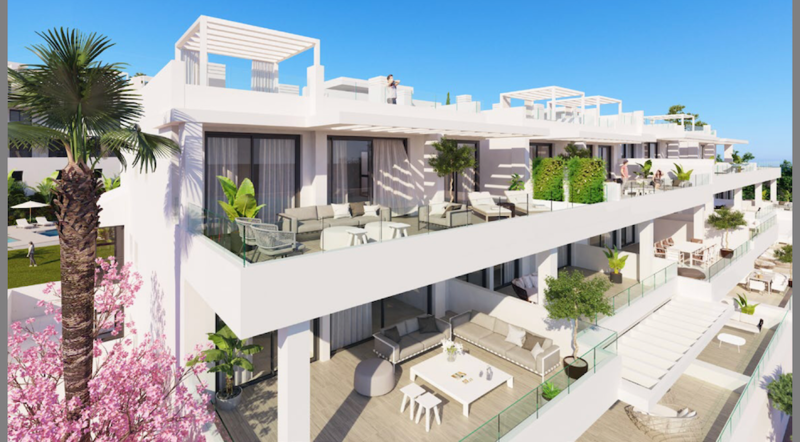 In our previous article, “An Introduction To Buy To Let in Spain” we looked at why investing in a rental property in Spain is a good idea and how to safely invest in a buy to let. In this post, we are going to consider the pros and cons of short term and long term rentals in Spain, in relation to your buy to let property. When investing in rental property in Spain, both types of rental have their advantages but also their risks. With careful research and planning, expert guidance and assistance, you can be sure of success whichever decision you take. A long term contract, for rental property in Spain, usually has a term of 11 months, with an option to automatically renew for up to 5 or even 7 years. From the outset, this can be a good idea as you have a guaranteed return on your investment over a sustained period of time. Provided you choose your tenants carefully, a long term rental is a safe way to maintain and upkeep your property. Experience has shown that long term tenants have a tendency to look after a long term rental property as it was their own. Remember that quality tends to attract quality. Maintenance costs are generally lower for long term rental properties and some responsibility is passed onto the tenant. As the landlord, you are responsible for repair and replacement of fixtures and fittings due to wear and tear. However, unlike with short term rentals, any damages caused by the tenants must be repaired when the property is handed back, at the end of the contract. When all goes to plan with a long term rental, your buy to let property in Spain can easily pay for itself over a long period of time. A short term contract, for rental property in Spain, usually has a term from 1 day to 6 months. It is your decision to select the minimum stay you would accept for a rental. Again, this depends on the type of tenant you want to attract. As previously mentioned, the trend towards independent travel has lead to a boom in private rentals via websites such as Airbnb and Owners Direct. This has allowed property owners to benefit, particularly those with properties in sought after locations. The fact that short-term holiday rentals are now tightly regulated in Andalucia has instilled confidence in the local holiday rental market. Spain, particularly the South, continues to be the most popular holiday destination for British tourists and is the number of visitors from around the globe increases year on year. A short term rental is an ideal option if you wish to also enjoy your property. You can enjoy the flexibility of offering only dates that you yourself do not wish to use. You can earn money from your investment whilst also enjoy your new home. Return on investment and profitability must of course be taken into consideration with this option. You must decide which is your priority. Short term rentals demand higher prices over a shorter period of time. As a guide, a property that achieves a monthly rent of €1000 per month can achieve €900 – €1000 per week in peak season. Again, market research and expert guidance is essential before making your investment in the right location. essential information in your inbox as it is published. The stability of a long term rent-paying tenant is very attractive. However, Spanish law is almost always on the tenant’s side. It is important to understand Spanish rental law when making the decision to long or short term rent your property. For this reason, we work very closely with a legal team who have a thorough understanding of contract law and they will keep you updated with changes as they occur. Once you sign a long term rental contract, you need to be prepared to give up personal use of your property for up to 5 years. A long term contract that stipulates the use of a property as a “permanent abode” automatically entitles the tenant to a contract renewal for up to 5 years. Provided the tenant pays the rent and does not break any clause in the contract, you are unable to ask them to leave the property. Long term rental may not be the most profitable option. Short term rentals command much higher rates. However, a combination of the two may also be the answer. This is an important point that we will study with you before you make your decision on where to invest. Short term rentals tend to incur more costs that long term rentals. General costs include property management, cleaning, changeover costs, repair and maintenance. You must also account for sales commission if an agency manages your property and if you manage the property yourself then don’t forget marketing and advertising costs. Although there is very high demand for short term rentals, there is also increasing supply. To ensure a good return on your investment you need to stand out from the crowd. Attracting your ideal tenant in a busy market can be challenging. But don’t worry, we are experts at that and are here to help you! For many buy to let property investors in Spain, this is the ideal choice. It can be your way of literally having your cake and eating it. Provided you do your research and seek guidance, you can not only enjoy using your beautiful new Spanish home, to share with family and friends or simply escape on your own but also get the property to pay for itself. Subject to your chosen location, there is an opportunity to short term rent in the summer months, choosing the weeks you want to rent out yourself and also to offer longer term rentals in the non-peak season months. “Non-peak season” longer term rentals are popular with the likes of teachers, contract workers and even Scandinavians. Teachers opt for rentals between the school term months of September to June, this allows them to avoid high summer rental prices when they do not need to occupy the property. Scandinavians tend to avoid tourist locations in the busy summer months opting for the mild spring, autumn and winter months. So, we hope this has given you plenty to think about. Investing in Rental Property in Spain can be a very profitable business whether you opt for a short term rental, long term rental or a combination of both. The decision is yours and we ’lll be only too happy to guide you along the way. Lisa is an experienced personal property finder, relocation consultant and published author of Moving to Spain with Children. With thirty years experience of living and working in Spain, she thrives on using her expertise and knowledge to help others find their ideal property and enjoy life in Spain as much as herself and her family.